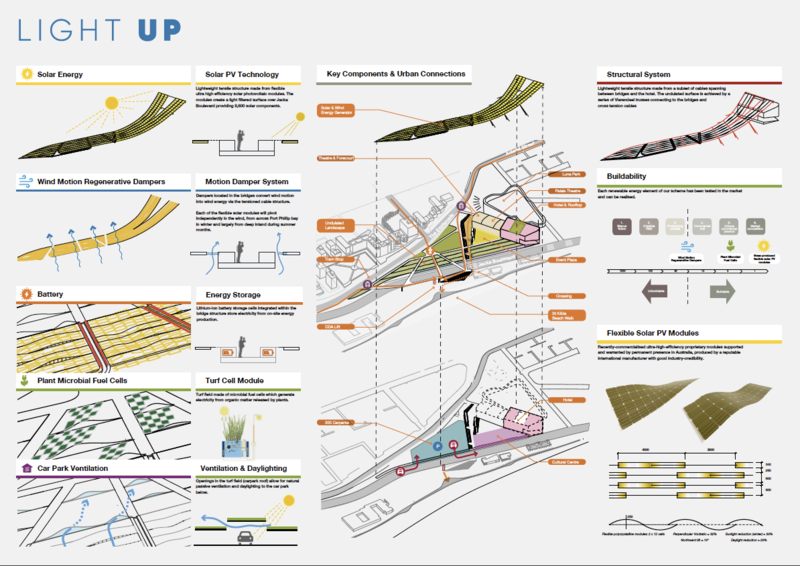 Ark Resources is delighted to announce their participation in the collaborative project, “Light Up”, winner of the Land Art Generator Initiative (LAGI) Award for 2018. 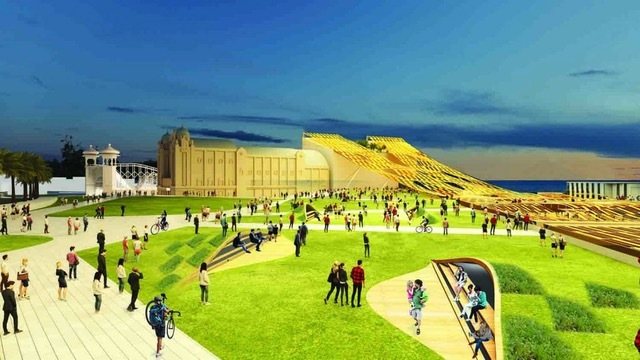 The biennial competition attracted entries from hundreds of design teams from more than 50 countries with concept masterplan proposals for large-scale works of public art capable of producing clean energy for the St Kilda triangle. The winning team comprises Ark Resources, NH Architecture, John Bahoric Design and a committed team of RMIT Architecture students. The St Kilda foreshore is an iconic tourist destination. 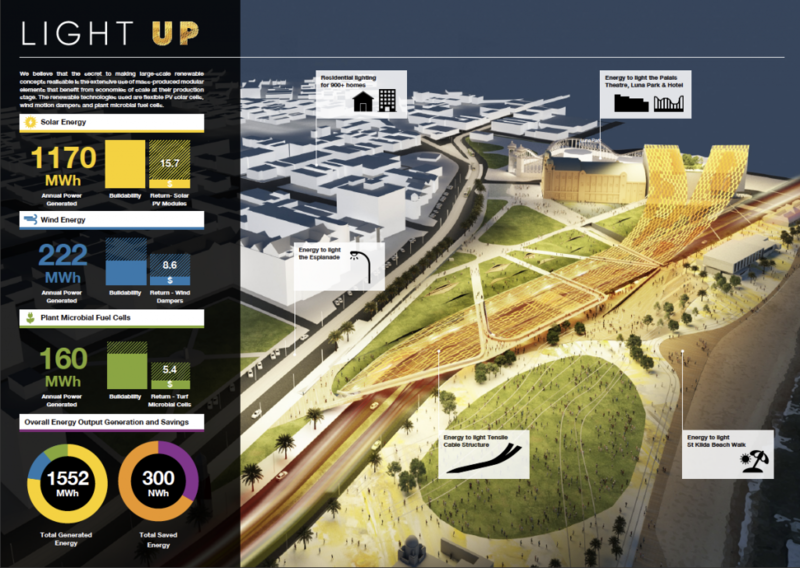 “Light Up” is a practical and aesthetically pleasing addition to plans for the triangle precinct. 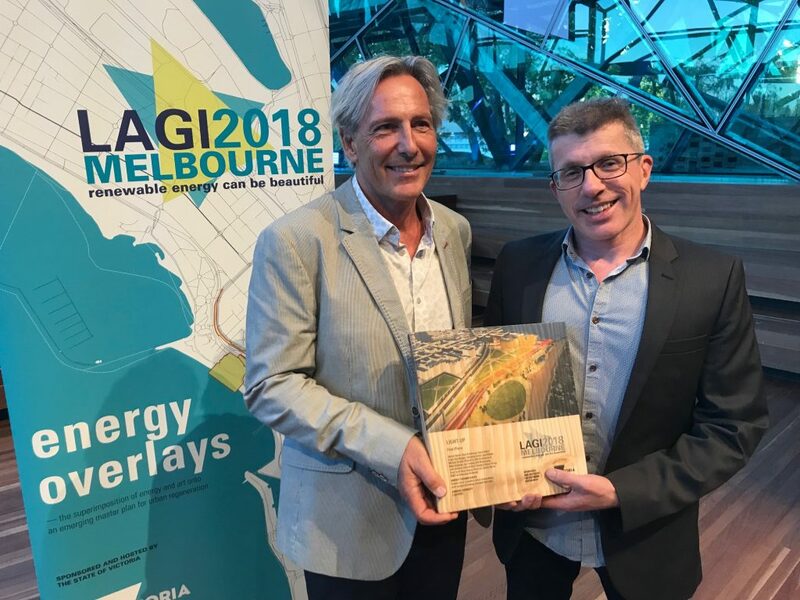 ‘Light Up’ uses three different energy technologies to provide electricity to the City of Port Phillip: flexible mono-crystalline silicon photovoltaic modules, as well as wind energy harvesting and microbial fuel cells from plants. 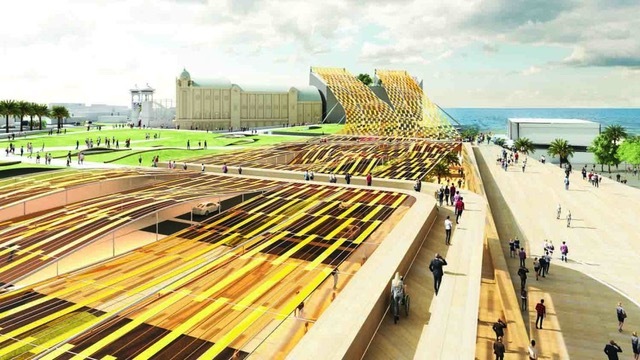 The 8,600 solar modules are housed in a canopy that spans over Jacka Boulevard, connecting the upper Esplanade and the beach. 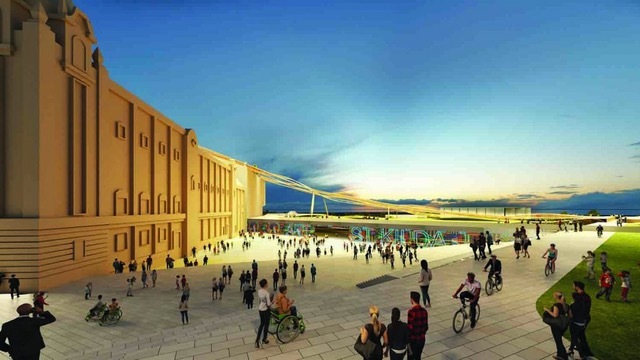 The design generates enough energy to light more than 900 homes as well as streetlights and the Palais Theatre. Practicality is at the core of the design; all elements have been tested in the market. As leaders in environmentally sustainable design, the team at Ark are proud to have collaborated on the winning entry, and to have been selected from so many strong entries from around the world. As well as enhancing the experience for St. Kilda locals and visitors, Ark Resources is committed to projects that lead the way in sustainable energy. This collaboration with NH Architecture followed on from an earlier successful collaboration for the Brickworks international design competition run by the International Living Building Institute for the pioneering retail development in Burwood, Melbourne by Frasers Property Group.